I’m grateful to Martin for highlighting the tensions between environmental and animal ethics. The approaches have a very great deal in common, of course: those beginning with animal ethics are acutely aware that the major threat to the wellbeing of wild animals is human destruction of their environment; those concerned about environmental ethics often recognize the impacts on wild animals as a key concern in relation to environmental degradation. But, as Martin notes, there are tensions, too. South Georgia was declared free of rats in March 2018 after a systematic programme of poisoning them in order to protect wild bird populations. This is part of a much larger programme: since the 1960s rats have been eradicated from nearly 300 islands in the Pacific, Indian, and Atlantic oceans (Howald, G et al., ‘Invasive Rodent Eradication on Islands’, Conservation Biology 21:5 (2007), 1258-68). These efforts may play a role in preventing future species extinctions, but obviously definitely directly cause the suffering and deaths of animals as a means to that end. The Christian framework for animal ethics I have developed in On Animals (vol. I, 2012; vol. II forthcoming 2018) shares the judgement of other approaches to animal ethics that the deliberate infliction of suffering and death on animals is of moral concern and should be avoided wherever possible. It often seems to me that environmental ethics operates with a strange disconnect between humans and other animals: our treatment of fellow humans is governed by strict norms against killing (at least in theory), while the individual interests of non-humans can be ignored whenever they conflict with what is best for ecosystems as a whole. 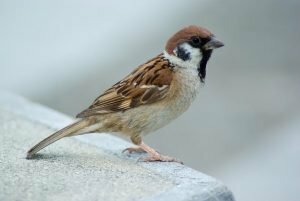 One way of locating a Christian recognition that the life of every creature should be a concern to us is Jesus’ teaching that not a single sparrow is forgotten by God (Lk 12.6). For me this links with the Franciscan emphasis on the non-substitutable ‘hacceity’ of every creature, represented in Gerard Manley Hopkins’s wonderful poem ‘As Kingfishers Catch Fire’, where every creature ‘Selves — goes itself; myself it speaks and spells,/Crying Whát I dó is me: for that I came’. We find the same passionate insight in Pope Francis’s encyclical Laudato Si, where he states that even the fleeting life of the least of beings’ is the object of God’s love (§77). Such insights mean we should recognize the unique life of every creature — including rats — as of profound significance to God. At this point, environmentalists are likely to object that such a view is romantic and impractical, that all ecosystems depend on the consumption of one creature by another, and that the health of the system should be our priority. I recognize that we have no possibility of effecting the harmonious creaturely co-existence envisioned so frequently as an ideal in the Bible (e.g. Gen. 1–2; Ps. 104; Job 38–41; Isaiah 11 & 65). A Christian doctrine of the fall recognizes a vast gulf between the world as we experience it and God’s will for creaturely life. The conflict between new predators and prey in New Zealand is one small part of the groaning of all creatures as they await the new creation (Rom. 8). In a human context, however, we recognize that in this fallen state we can’t escape injustice and violence, but that we have the responsibility to resist them wherever possible. It seems to me and other animal ethicists that this should also be our aim in our dealings with non-human animals. What does that mean for how we negotiate the conflict between predators and prey in New Zealand? If we recognize the value of the lives of individual animals, we would seek ways of resolving the conflict with maximal respect for the lives of all. Culling may be the least worst option in some cases, in which case it should be done as humanely as possible. In other cases, it may be possible to relocate the animals rather than kill them. The key is that wherever possible we should look for policy options that appreciate the value of every animal, rather than merely as negligible part of the whole. Finally, environmentalists and advocates for animals can share the recognition that the biggest contribution we can make to improving the wellbeing of wild and domesticated animals is to reduce our consumption of farmed animals, which is the major driver of increasing human land use. Making that case among Christians is one of the core aims of the CreatureKind project. We can help institutions with strategies to reduce consumption of animals and have a free six-week course for churches on Christianity and animals. Do check us out and work with us if you can. David Clough is Professor of Theological Ethics at the University of Chester, President of the Society for the Study of Christian Ethics, and Co-chair of the Animals and Religion Group of the American Academy of Religion. He is author of On Animals vol. I Systematic Theology (2012) and vol. II Theological Ethics (forthcoming 2018), published by T&T Clark/Bloomsbury, and founder of the CreatureKind project.